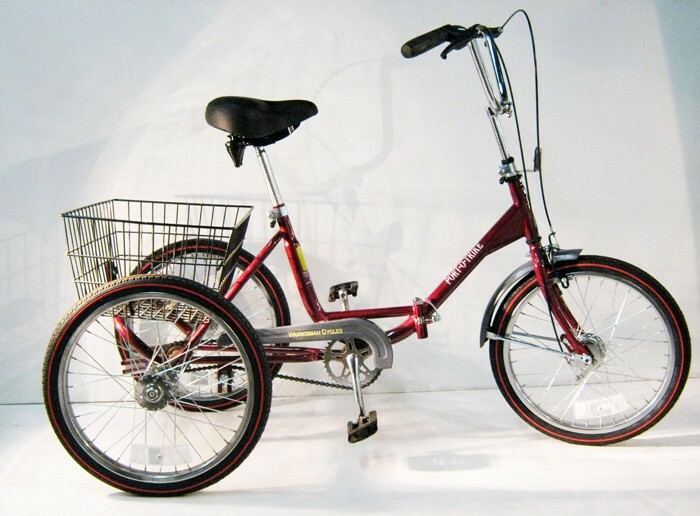 Port-o-trike Folding Adult Trike with 20"wheels with 1 Speed Freewheel (Single Hand Operated Front CALIPER Brake Only)and rear basket. Compact Adult Trike. Overall Width 29.5". Folds to a 32 x 30 x 29.5" cube. Ships mostly assembled via UPS. Maximum Recommended Weight Capacity 210 pounds. All available options are not listed as available through web order screen. unlisted options include: Airless Tires Mag Wheels Redundant Brakes... Two Brakes per wheel or wheel set: Coaster+Caliper rear Drum+Caliper front Different standard size wheels available on some models. This is not a product review. Just a comment that as of Spring 2014 the Web Order screen does not list all options... A phone call might reveal all available options... If you are thinking, " This bike or trike would be better if it was equipped with ______ and ____ and painted some other color, etc." Call them. They might be willing to do a semi-custom built to order bike or trike for you. Worksman Bikes have been Built in New York since 1898 and they still build them today. 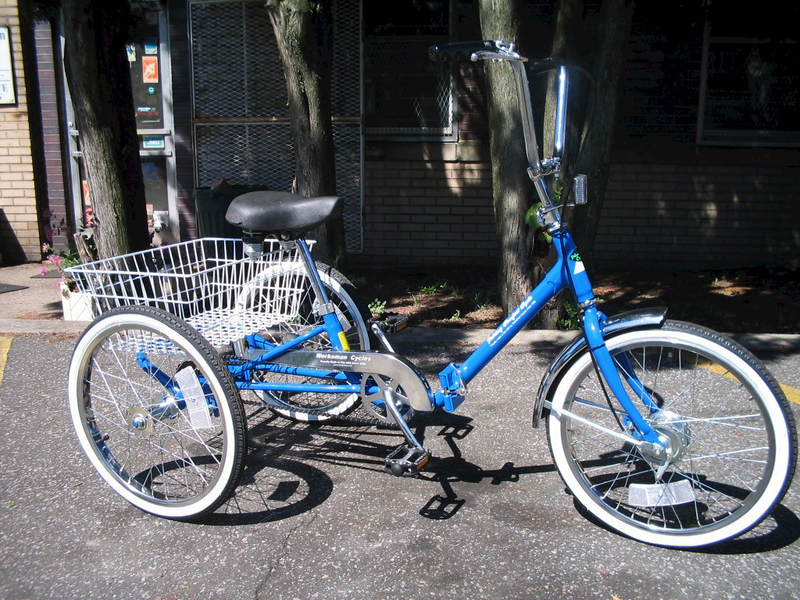 Purchased tricycle from Walmart Corp. They assembled the bike and when it was presented to me I inquired about the service/instruction manual, they stated there was nothing in the box. How do I acquire one????? ?thank you. Couldn't be happier with my daughters new bike! She loves it!